This bill was introduced January 16, 2014 and referred to the Committee on Natural Resources. "It is the intent of the State of West Virginia to protect the public against health and safety risks that wild and exotic animals pose to the community and to protect the welfare of the individual animals held in private possession." Animal welfare is a huge concern, but as we have seen in Ohio, bills such as this don't work, overreach, cost tens of millions of dollars to the state and overload authorities making implementation and proper enforcement impossible. The only people punished are responsible pet owners. "The purpose of this bill is to prohibit the possession of wild and exotic animals. The bill provides for a permit for those in possession on the effective date for limited exceptions to the prohibition and for removing the animals if they are being kept in violation of this article. The bill expresses legislative intent. The bill establishes agency jurisdiction. The bill defines certain terms. The bill permits expansion of the definitions. The bill limits custody and control of wild and exotic animals. The bill provides a permit for persons who possess a wild and exotic animal prior to effective date. The bill sets forth permit requirements. The bill requires a notarized permit application and fee. The bill splits the fee with Division of Natural Resources and county humane and animal control officer or the sheriff, in the alternative. The bill provides exemptions. The bill requires interagency cooperation. The bill provides rule-making authority." While intentions may be good, this is simply creating laws and wasting money while much more pressing matters should be addressed. You can view the full bill text at www.legis.state.wv.us/Bill_Status/bills_text.cfm?billdoc=sb371+intr.htm&yr=2014&sesstype=RS&i=371. Here is a link for contact information to all committee members: www.legis.state.wv.us/committees/senate/SenateCommittee.cfm?Chart=nr. At this time, it is crucial for West Virginia to contact legislators and address their concerns. Also, any herp societies, 4H clubs, pet businesses, pet owners, etc. should collaborate. 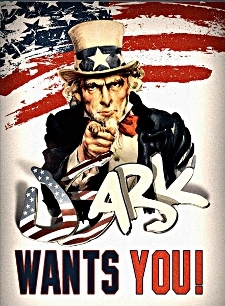 USARK is here to assist, advise and provide valuable information at local and state levels, but local herpers, exotic owners and others affected need to make their voices heard. Reply to this email or send an email to info@USARK.org to let us know you are a West Virginia resident who is ready to support your herp community. Below is a sample letter. It is always best to personalize the letter is some manner. Remember to always be professional and civil when addressing legislators and commenting publicly. I write today to oppose SB 371. This bill will punish not only responsible reptile keepers by requiring additional costs and hardships to own, possess, breed, harbor, transport or have custody of exotic animals and reptiles, but this bill will cost the state of West Virginia millions or even tens of millions of dollars to implement and enforce. While I understand your concerns over public safety, the exotic and reptile pet communities have evolved greatly and pet owners are much more responsible and educated. A public safety concern is non-existent. The minuscule number of occurrences have all involved occupational risks by pet owners or workers at facilities with these animals. Bills such as this only create problems that did not previously exist. States that have passed similar bills recently are now seeing the mistakes made and problems created to protect the public and environment when they were never really threatened. On its own, the reptile sector of the pet industry represents annual revenues over $8,000,000 for West Virginia's small businesses. Reptiles purchased as pets require caging, food and other supplies. Many reptiles are individually valued well over $1,000. An estimated 30,000 residents in West Virginia responsibly own reptiles. This legislation does not protect the citizens of West Virginia but it does punish them. This type of legislation is pushed by anti-pet groups posing as animal welfare organizations. Animal cruelty should certainly be addressed, but banning and over-regulating pet ownership are not effective means to handle this concern. It's a shame that the great state of West Virginia would allow special interest groups to influence public policy and not protect the freedoms of its citizens. Responsible pet owners are constantly being punished by overreaching legislation. The reptile segment of the pet industry accounts for nearly $1.5 billion dollars in the U.S. annually and that revenue is being threatened by continual legislation. With so many critical dilemmas in our country including poverty, failing education system, hunger, shortage of jobs and pollution, why are states focusing so many resources to "fix" problems that don't even exist? State governments should be fixing real issues and not removing more freedoms from their hardworking and taxpaying citizens. Pet ownership is a matter of personal responsibility and not government action. I implore you to vote “No” on SB 371. Your name, address, contact info, etc. A2869 has again been referred to the Agriculture Committee (Assembly). The bill was introduced in 2013 and is back in 2014. A2869 will make "Any person owning, possessing or harboring a wild animal or reptile capable of inflicting bodily harm upon a human being" guilty of a class E felony. This bill is upgrading the penalty from a misdemeanor to a felony. View the bill text at http://assembly.state.ny.us/leg/?sh=printbill&bn=A2869&term=2013. You can view a list of "wild animals" on page 3 at http://nytts.org/nytts/NYS_and_Federal_Statutes_Applicable_to_Reptiles_and_Amphibians.pdf. These "wild animals" have been prohibited in New York since 2005. You can contact the Committee members at http://assembly.state.ny.us/comm/?sec=mem&id=2. A group in Anacortes, Washington will soon face the same legislation as Ohio. Currently there is a law in the works that will ban all exotics with no grandfathering. This means that without your help dozens, if not more, animals will be without homes. Without homes means that they will inevitably be put down. What we're asking is just ten minutes of your time, to either call or send an email to the county commissioners and let them know the impact their decision will have. The hearing will be held on February 4th, in Mount Vernon, Washington at 9:30 am. The address is 1800 Continental Place, Mount Vernon, 98273. If you cannot attend, PLEASE send an email to commissioners@co.skagit.wa.us, or give them a call at (360) 336-9300. Your voice can make the difference, and put an end to this and guarantee a safe future for the animals at Predators of The Heart, a local sanctuary/rescue/educational group (www.predatorsoftheheart.com). Anti-pet groups were again working Capitol Hill last week to find supporters for their agenda. This is an ongoing battle and USARK's team at Kelley Drye, based in Washington, D.C., is on top of the situation each time it arises. Our team is continually in contact with our allies on the Hill. USARK will supply updates for any pertinent information that arises but at this time, it is more of the same from the anti-pet organizations.